Without a physical Home button getting back to the Home screen on the iPhone X had to turn to a gesture instead. 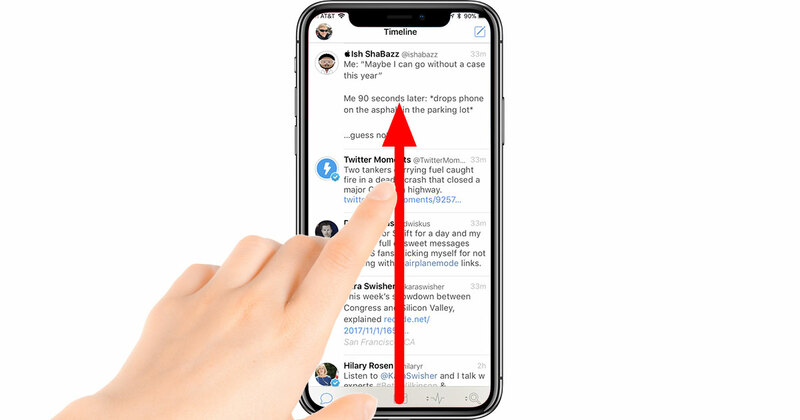 The good news is once you learn the new gesture you can get back to the Home screen from anywhere with a swipe. To get to the Home screen, or from the lock screen to the Home screen, on the iPhone X swipe up from the bottom of the display. Since that’s the gesture for Control Center on every other iPhone and iPad, the other gestures you’re familiar with from the Home screen are changing, too—but just for the iPhone X. TMO has you covered there, too. Looking for more iPhone X gestures?